A modern strong simplistic design with louvre slat detail drawer fronts. 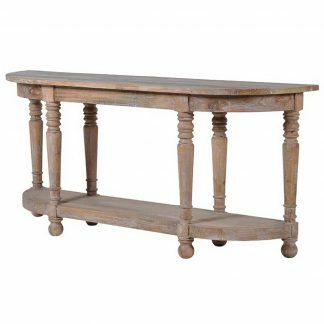 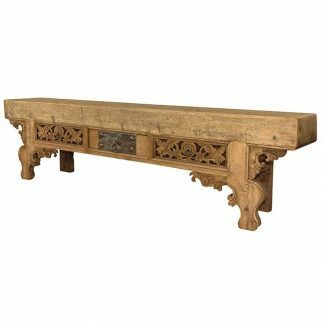 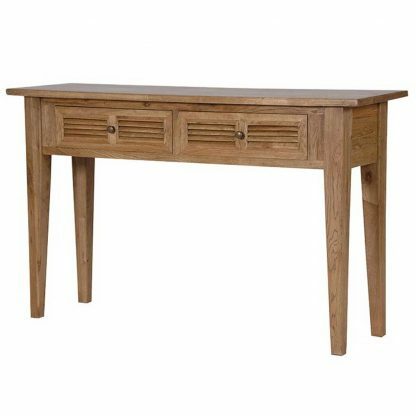 This table is made from solid oak and has two drawers with metal knob handles. 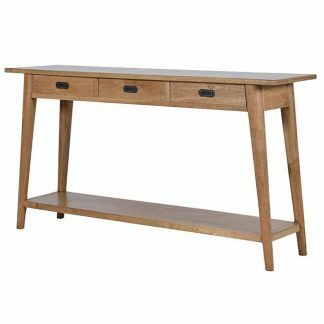 This has a lovely natural oak finish.